Being an avid traveller, it would have been hard for her to say no to such a nomadic job-type. Then again, as much as she enjoys the artistic sights, she also yearns for days when she can take off to just be a usual tourist – indulging in sightseeing, food and idly taking in the culture. Today, her life is a paradoxical juxtaposition of many things. As an auctioneer, and a sales person, she needs to be social; but if you catch her at a party on her own time, it would be a rarity in entirety. “Sundays are my days off and that’s when I’m a recluse.” Come day end, and her body shrugs off the high heels and jackets, and readies itself in loose kurtas for some modest gastronomy feats, and a curling-up with a riveting book. A year later she was ready as the first Indian lady auctioneer in the history of Sotheby’s, and has since taken nearly 30 auctions, including charity events. In spite of it being a male dominated field, she never felt discriminated against. Perhaps seeing a woman on stage is an aesthetically pleasant change to having men in suits woo the audience for a sale? Once up there, the whole part of connecting with the people, reading them, coaxing them, keeping numbers, tracking bids, keeps her in spirit. Her first sale of a Gaitonde piece that went for 2.5 million dollars gave her a different kind of rush altogether. This negotiating banter actually takes her back to her investment banking days because the basic concept of buying and selling applies here as well. In fact, it was her background in the trading business that attracted her employers’ to her in the first place. “Being in this field, I enjoy the left-brain, right-brain dynamics. I also enjoy the creative aspect, as much as the economics of how the art market works.” Maybe it stems from her upbringing – being dragged to Delhi’s galleries as a child by her artistic mum, as well as influences from an academically inclined father. Having grown up with an exposure to largely Indian artists, her home, surprisingly is filled with pieces from Pakistan. She loves their art to such an extent that she essays a trip to the country each year for more. Sana Arjumand, and Iftikhar Dadi from Pakistan, and Binoy Varghese and Pramit Roy from India are a few, apart from the Husain and Raza that layer her walls. No wonder South Asian art has come to become her speciality. Now with Sotheby’s in India, she aspires to “make the eco system richer.” She hopes to make the world more aware of what her homeland has to offer, and get international arts and antiquities into Indian homes. “Sotheby’s sells contemporary art, impressionist paintings, Middle-eastern art, American art, Russian art…we even sold the James Bond car; we sell everything. We want to bring that to India, we want to bring a number of the world’s top collectibles to the country.” She is well aware of the Indian consumer being savvy, especially the well-travelled and wealthy ones. 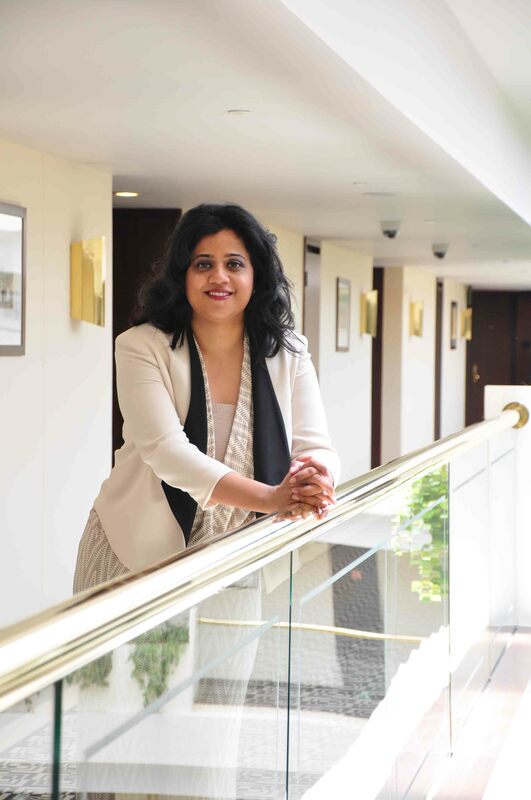 “It is just about bringing what they have to travel outside of the country for.” As for auctioneering, Mathew definitely looks forward to wooing her motherland’s population once Sotheby’s officially launches itself in India.